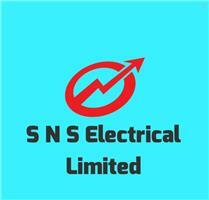 S N S Electrical Limited - Alarms/Security, Electrician based in Wolverhampton, West Midlands. I have been established since 2001 and I am City & Guilds qualified which I completed in 1994. I have a vast experience in the electrical field from large commercial scale projects like JLR in Wolverhampton, Holiday Inn, Boots, Morrison’s and Big Yellow Storage to domestic builds, Extensions, Houses and Apartment’s. All new installation work is covered the Platinum promise please ask for details . Please call me today for a free estimate, I look forward to hearing from you.